The accordion is a musical instrument played by compressing or expanding bellows which forces air through a set of steel reeds. Buttons or keys allow valves to open to produce sound. The most common accordion in the United States is a piano accordion. The right hand (treble) keys resemble piano keys. The left hand plays a series of “bass” [pronounced bayse”]buttons (ranging from 12 to 140 but 120 is the standard) generally arranged in the “circle of fifths”. This arrangement is known as the stradella system. The same sound is generated from the push and pull of the bellows. 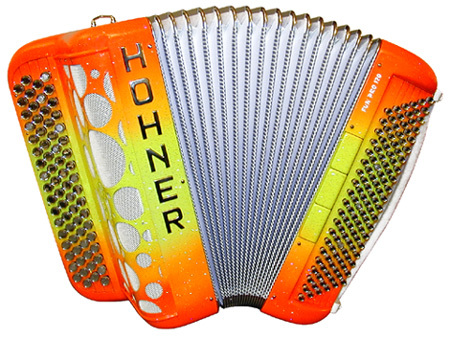 The chromatic button accordion is more popular in Europe. Rather than piano keys on the right hand, a series of buttons generate the treble sound. Diatonic accordions with two or three treble rows (on the right side) are often used for Tex-Mex or Conjunto music. Accordions are found in nearly every corner of the world. In China, accordions were promoted as an instrument of the people. 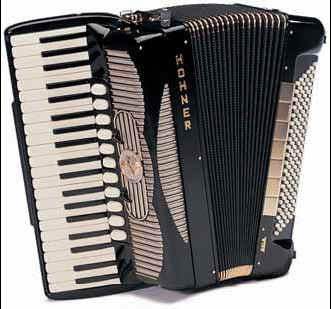 In Italy and Germany, craftsman refined and then manufactured accordions. 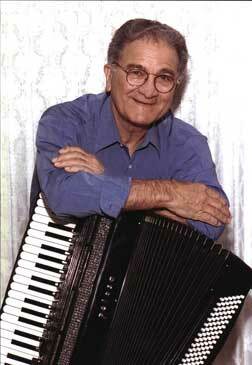 In 1953, each exported 200,000 accordions to the United States. 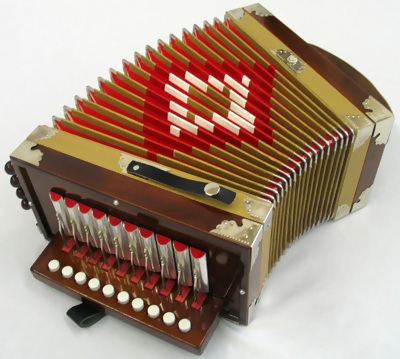 The German bandoneon found a home in Argentina where it became the symbol of the tango. Russia promoted its form of chromatic accordion known as the bayan, but also saw the spread of the garmoshka, or folk accordion. Accordions generally were generally used in folk music. 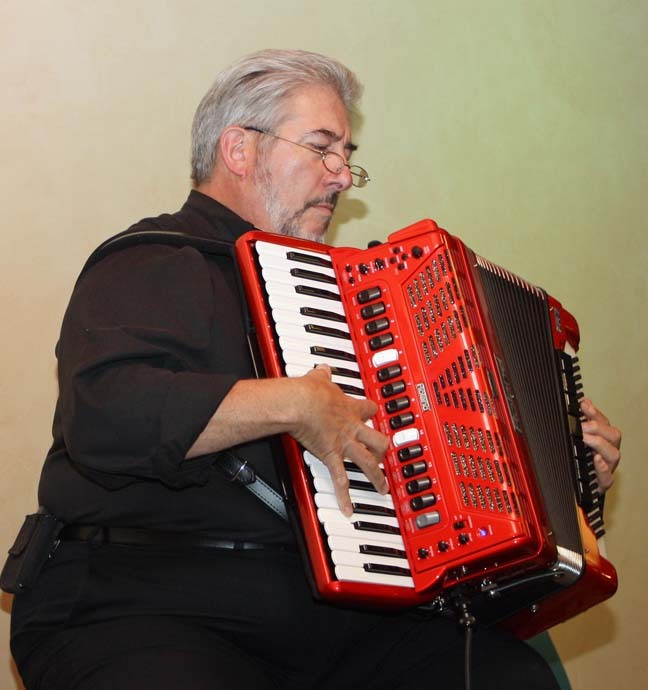 Commonly associated with polka bands, accordion styles include classical and jazz. 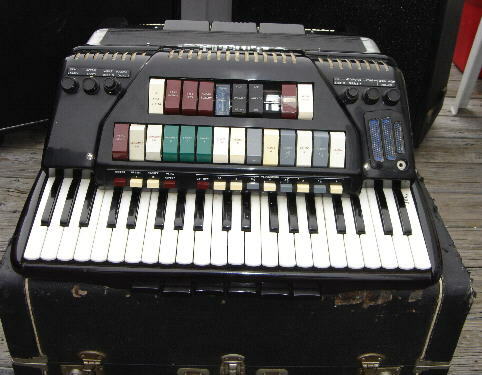 In the 1990’s Roland Corporation invented the “V-Accordion” which brought the accordion into the digital age. 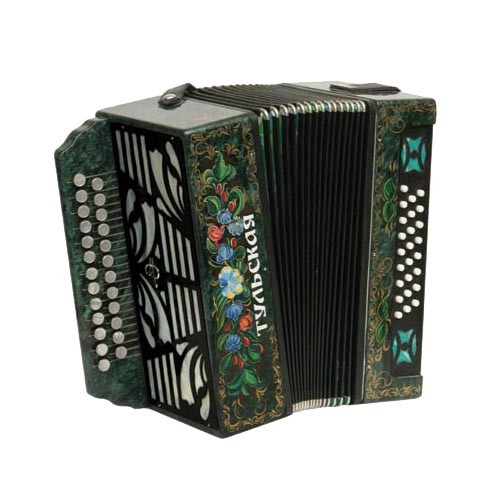 Abandoning the traditional reeds, these accordions are capable of producing high quality multiple accordion sounds (i.e. musette, jazz, classical, Tex-Mex) as well as orchestra sounds and drums without relying on an external midi or sound machine.